Metal Tiger Plc (LON:MTR) CEO Michael McNeilly talks to DirectorsTalk about the raising of c. £3.45m and another positive set of drilling results from the JV with MOD in the Kalahari Copper Belt. Michael explains why the money was raised, how it benefits the company, what the results mean for the JV, the next steps at T3 and with the Thai government approving the 20-year mineral management strategy and the 5-year mineral management master plan does this mean the KEMCO IPO will go ahead? 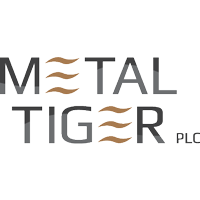 Metal Tiger plc’s target is to deliver a very high return for shareholders by investing in significantly undervalued and/or high potential opportunities in the mineral exploration and development sector timed to coincide, where possible, with a cyclical recovery in the exploration and mining markets. The Company’s key strategic objective is to ensure the distribution to shareholders of major returns achieved from disposals.